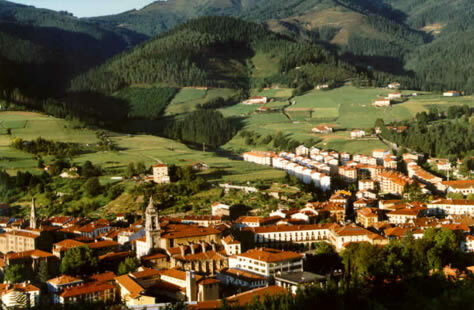 Oñati is a medieval town with a population of around 11,000 located in a picturesque valley surrounded by mountains and forests. It is situated in the province of Gipuzkoa, one of the three provinces that together comprise the Basque Autonomous Region of Spain. 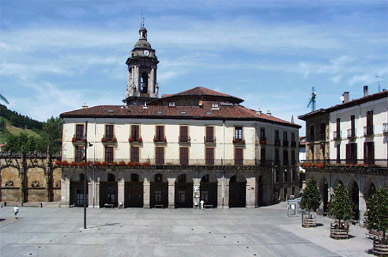 The town’s old quarter contains many buildings in arquitectural styles ranging from Gothic to Renaissance and Baroque leading to Oñati being nicknamed "the Basque Toledo". Of major artistic interest, some of these buildings have been recognised as national historical monuments. Visitors are particularly impressed by Bidaurreta Monastery, Saint Michael’s Parish Church, the town hall and especially the Sancti Spiritus University. 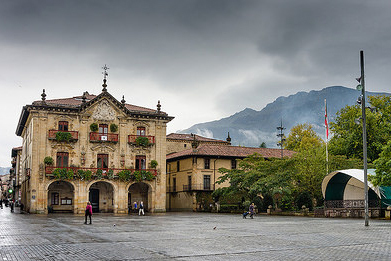 Since the 12th century at least, the history of Oñati has been linked to the story of its Count, who right up until the 16th century held a great deal of control over its population. The peculiar situation of the valley of Oñati as a county lasted until 1845 when it officially became a part of the province of Gipuzkoa. The Sancti Spiritus University building, which is where the International Institute for the Sociology of Law is housed, was founded in 1548 and functioned as a university until 1901. During this period it was the only university that existed in the Basque Country. It was founded by the Oñati bishop, Ricardo Mercado de Zuazola whose main aim was to provide the Basque population with a place to study theology and law. Detailed information (dating from the 21st, June 1999) on the university building’s artistic features can be obtained from Montserrat Fornells Angelats' book entitled La Universidad de Oñati y el Renacimiento published by the Gipuzkoa Provincial Government (1995). If you are interested in Oñati as a whole, consult the book Historia de Oñati: siglos XIV-XIX, published by the Oñati local council, 1999. Situated right in the heart of the Basque Country, Oñati can be reached by car from any of the three provincial capital cities (San Sebastian, Bilbao and Vitoria) in less than an hour. The Zumarraga train station is 18 kms. away from Oñati. A taxi trip from the station costs €25.00. Bilbao airport is 66 kms. 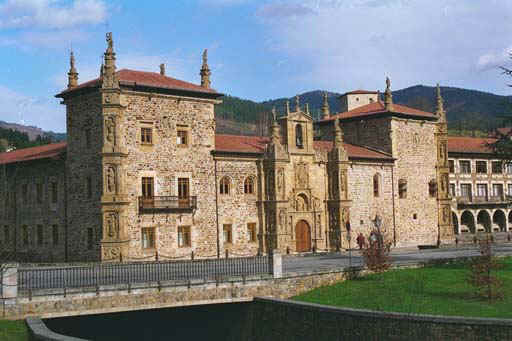 away from Oñati & the taxi trip from the airport costs €105.00. The climate is atlantic, mild in spring and autumn. In the summer the average temperature ranges from 18 to 28 degrees, and the nights are cool. In winter it snows very little, although the highest of the mountains that surround the town (Aloña, 1323m) can be covered with snow for several months. The average temperature in winter ranges between 0 and 12 degrees Celsius. The surrounding countryside lends itself to brisk walks in the mountains surrounding the valley, all within easy walking distance, negating the need for a car/personal vehicle.